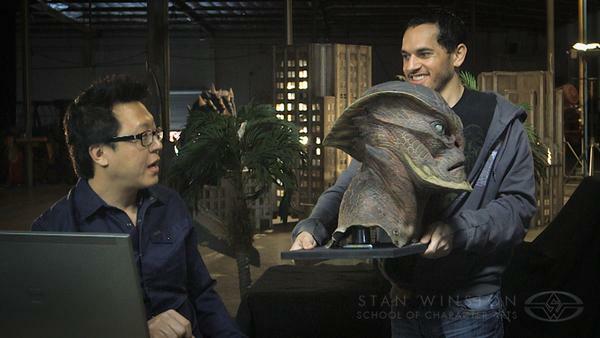 Learn to create a world for film with Emmy-winning VFX Supervisor/Director Jabbar Raisani (GAME OF THRONES, PREDATORS, MACHETE) & Production Designer/Creature Artist Eddie Yang (AVATAR, IRON MAN, MAN OF STEEL). Using their sci-fi war film ALIEN OUTPOST as reference, Raisani & Yang guide you through the entire production design process, from creating lookbooks and designing creatures, sets & vehicles, to set construction, post-production, VFX & marketing. If you're an aspiring filmmaker, production designer or simply an artist looking to broaden your knowledge of the film industry, this Webcourse will provide you with invaluable tips & insights you can apply to your own creative endeavors. Has anyone here ever dabbled in production design? Production designer is one of the hats I've enjoyed wearing for a few short films, commercials, TV pilots, music videos, and web series. I love production design because in the Venn diagram of production it's where all the creative departments overlap. Appreciate all the effort and thought put into this idea. Maybe i can work out a little short a friend wanted to do in school.